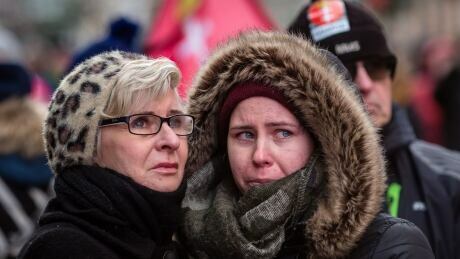 A Catholic archbishop and other speakers at the funeral Saturday of slain Gdansk Mayor Pawel Adamowicz urged an end to political and social divisions in Poland, targeting some of their comments to the country's ruling right-wing party. 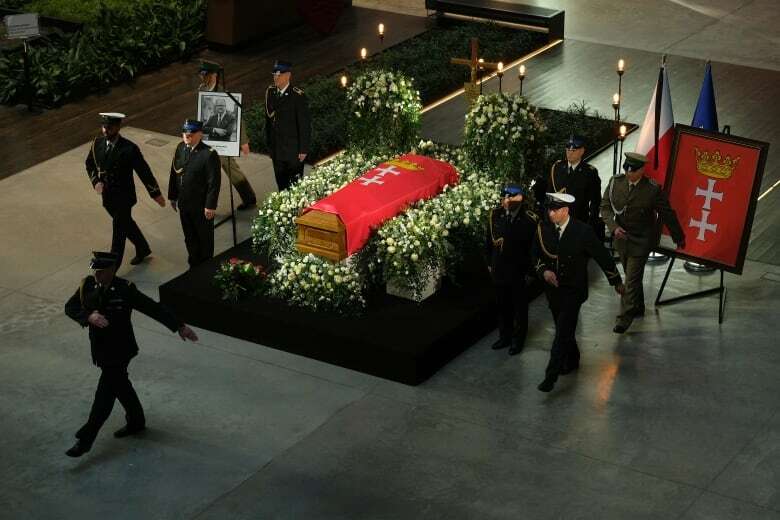 Top Polish and European officials and thousands of citizens joined Adamowicz's widow, two daughters, and other family members at the ceremony held at Gdansk's vast gothic St. Mary's Basilica. 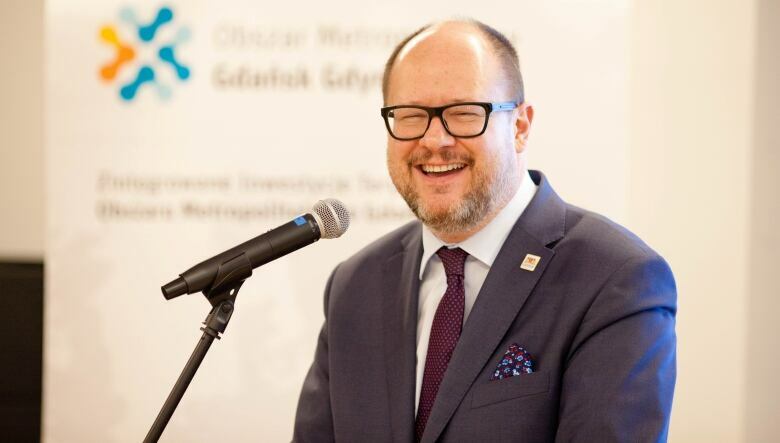 Adamowicz, 53, died Monday after being stabbed the night before at a charity event in the northern Polish city. The arrested suspect is an ex-convict who publicly voiced a grudge against an opposition party to which Adamowicz once belonged. Adamowicz himself was the target of criticism in state media and hate messages by some far-right activists, who criticized his tolerance and openness. In his sermon at the funeral, Gdansk Archbishop Slawoj Leszek Glodz said Adamowicz's death was a "bell calling for alarm." "Our homeland needs harmony in politics," Glodz said. Other speakers in the church drew applause, unusual for a ceremony in predominantly Catholic Poland, when they denounced hostility in public and political life. Poland cannot remain indifferent to the "spreading poison of hatred in the streets, in the media, in the internet, in schools, in parliament and also in the church," said Dominican friar Ludwik Wisniewski, a friend of Adamowicz's. "A person who is filled with hatred, who builds his career on a lie, cannot hold high positions in our country and we will make sure of that," Wisniewski said, drawing long applause, for what could be interpreted as a reference to Jaroslaw Kaczynski, the ruling party leader, who did not attend the funeral. Another friend, Aleksander Hall, said Adamowicz was killed by "hatred that was instigated and fuelled" in the media. A very personal address by Adamowicz's widow and daughter drew tears from many attending officials, former president Lech Walesa among them. Those at the funeral included European Council President Donald Tusk — a personal friend of Adamowicz — Polish President Andrzej Duda; Prime Minister Mateusz Morawiecki; former German President Joachim Gauck and city mayors from the Netherlands and Germany. Pope Francis sent rosaries to the family and assured them of his prayers. Prayers were also said by the country's Jewish and Muslim leaders. The black urn with the mayor's ashes was placed before the altar, surrounded by dozens of white roses. It was to be laid to rest at one of the basilica's chapels. 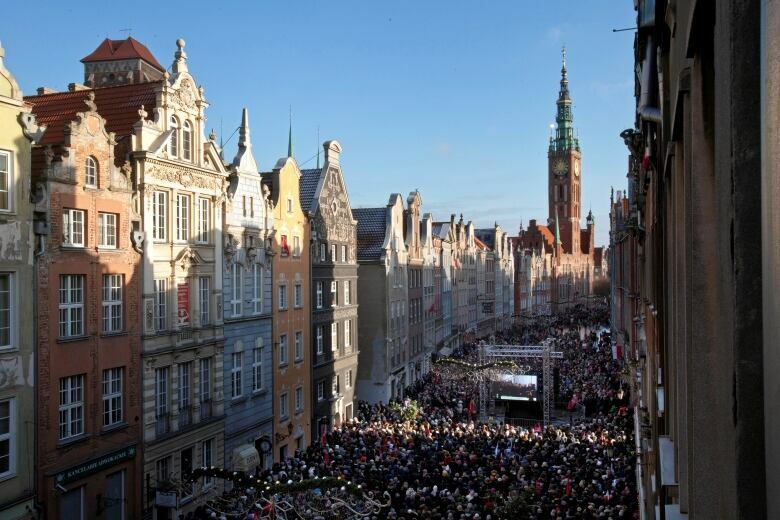 Crowds overflowed into the streets in Gdansk, but were able to watch funeral mass on giant screens. Black-and-white photos of the popular mayor were also seen in many shops and apartment windows.